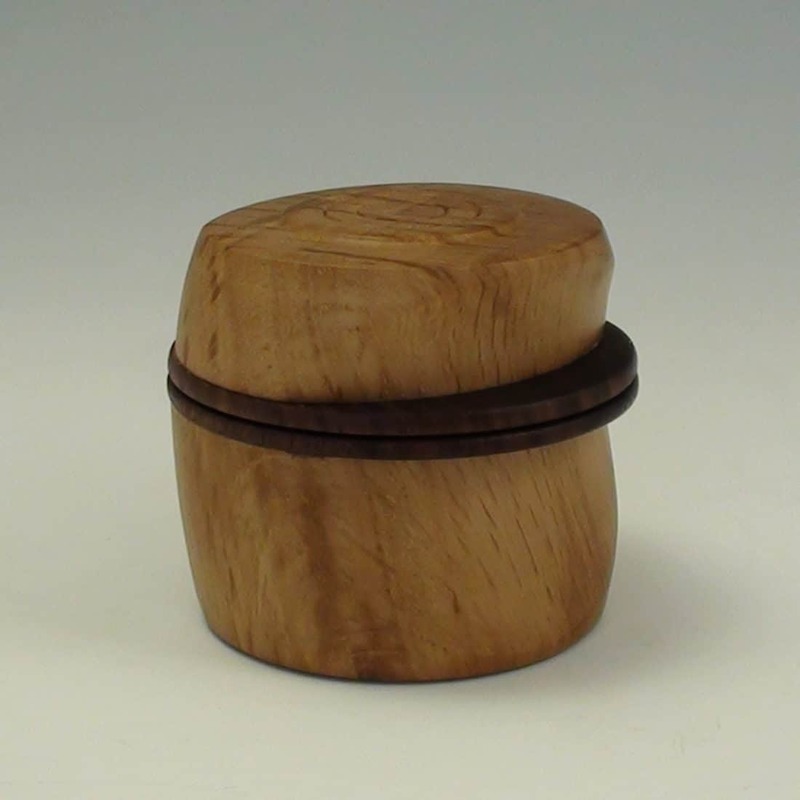 This off center turned box was made for a Hunt County Woodturners club quarterly challenge. The night before I turned this off center box I got inspired by the possibility of having a sense of movement in a box. 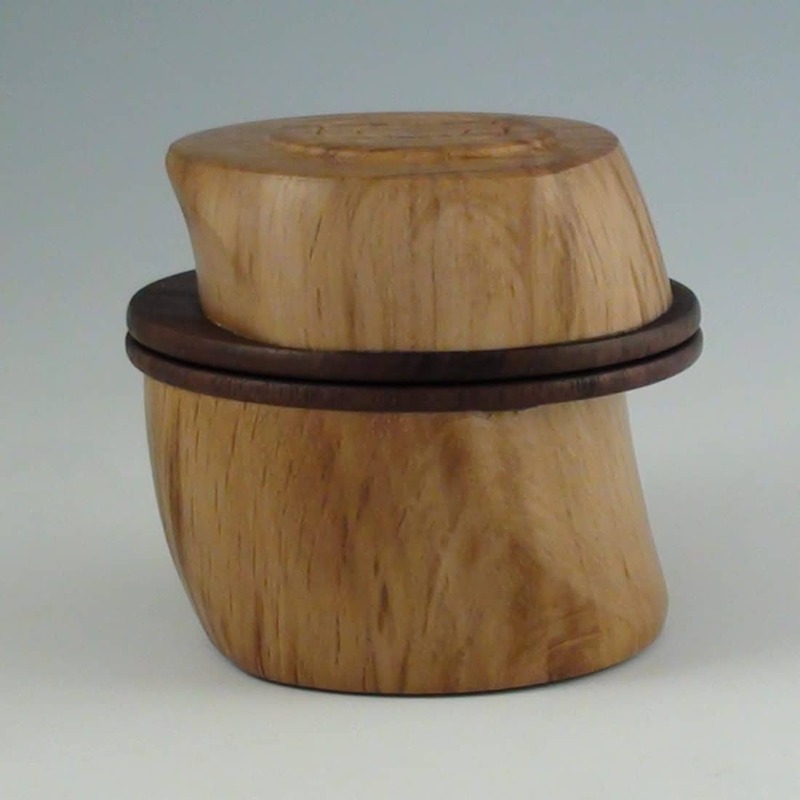 I wanted the box to look like it was on the move and for the shape to evoke a sense of action. Let me know if you get this feeling or sense from this off center box. 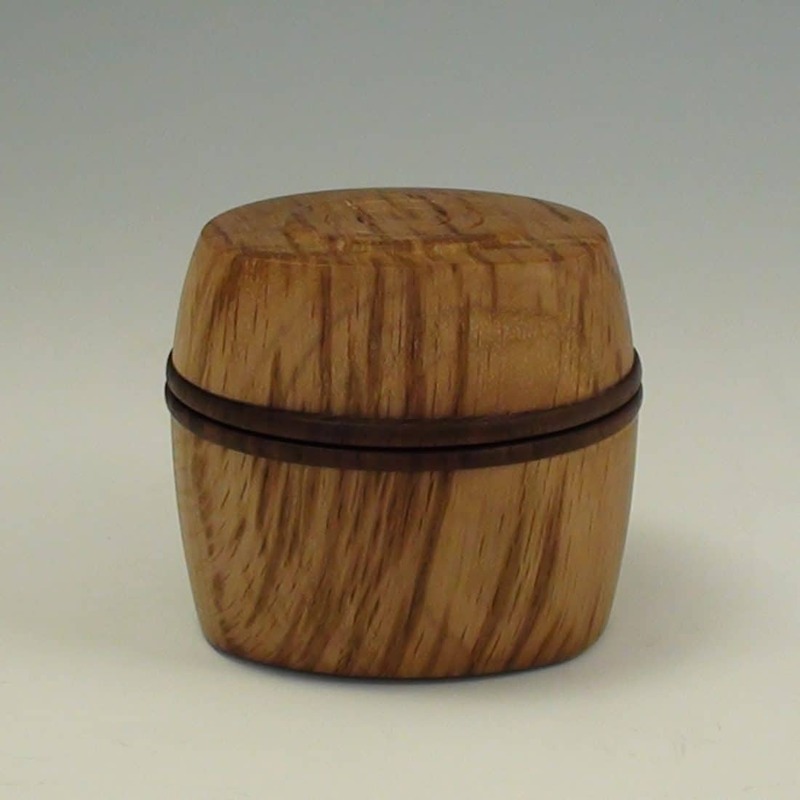 I started with a blank of oak about 3″ square and 5″ long. 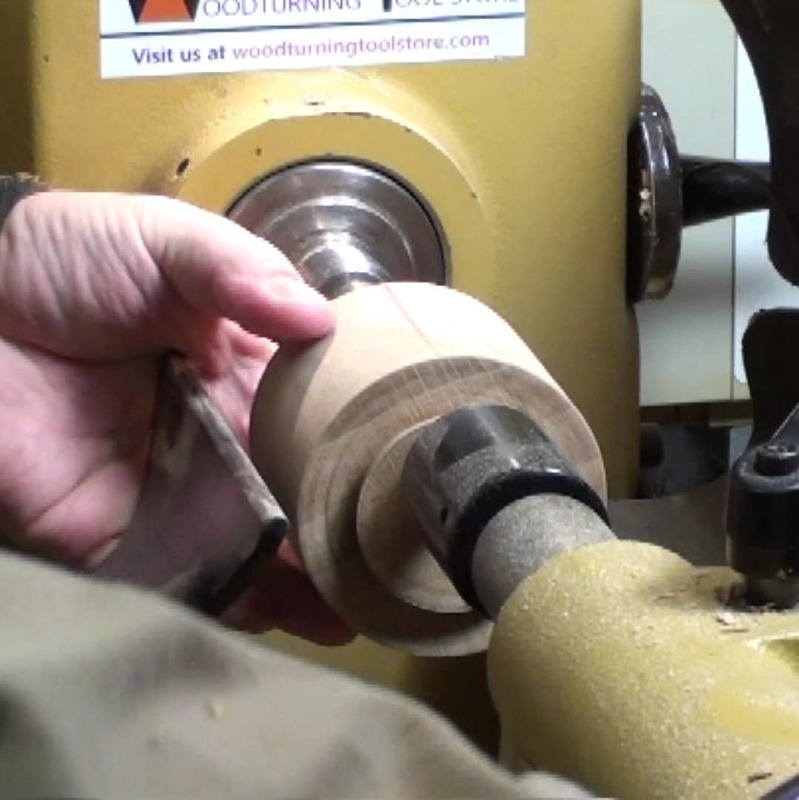 Turn the blank to round between centers and cut a tenon on both ends. I failed to show this process clearly but I essentially created three center points on each end. 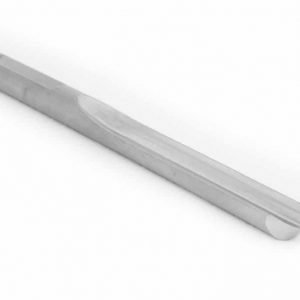 All the center points are in line with each other, which means one in the center and two about 1/2″ off-set at 0 degrees and 180 degrees. 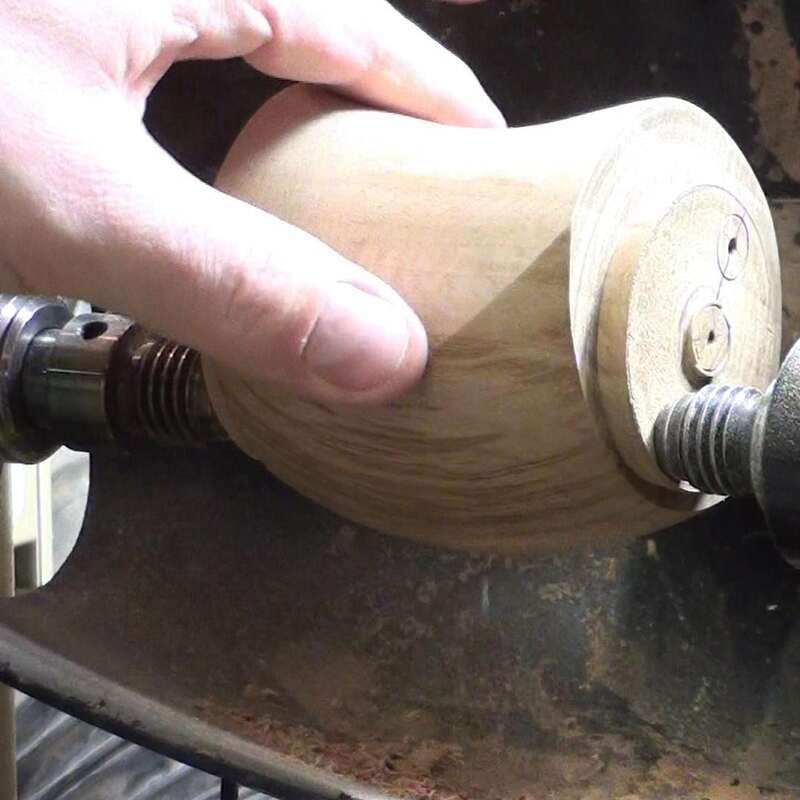 The horizontal line across the cylinder face is to align the center points on the other side.The three center points reside within the tenon area. 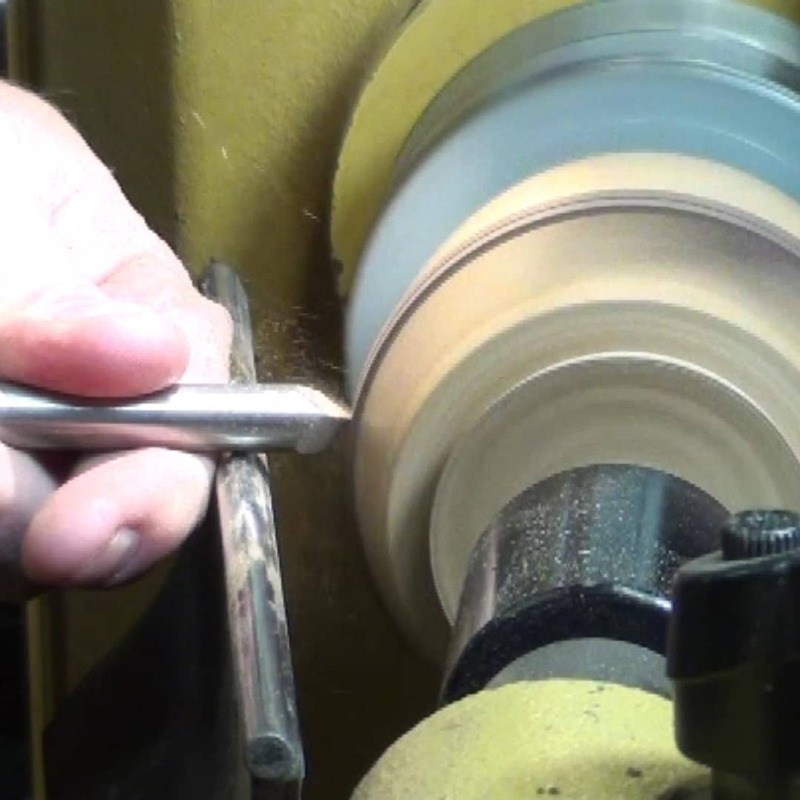 I use a cup drive center in the headstock and the cup live center in the tail stock. 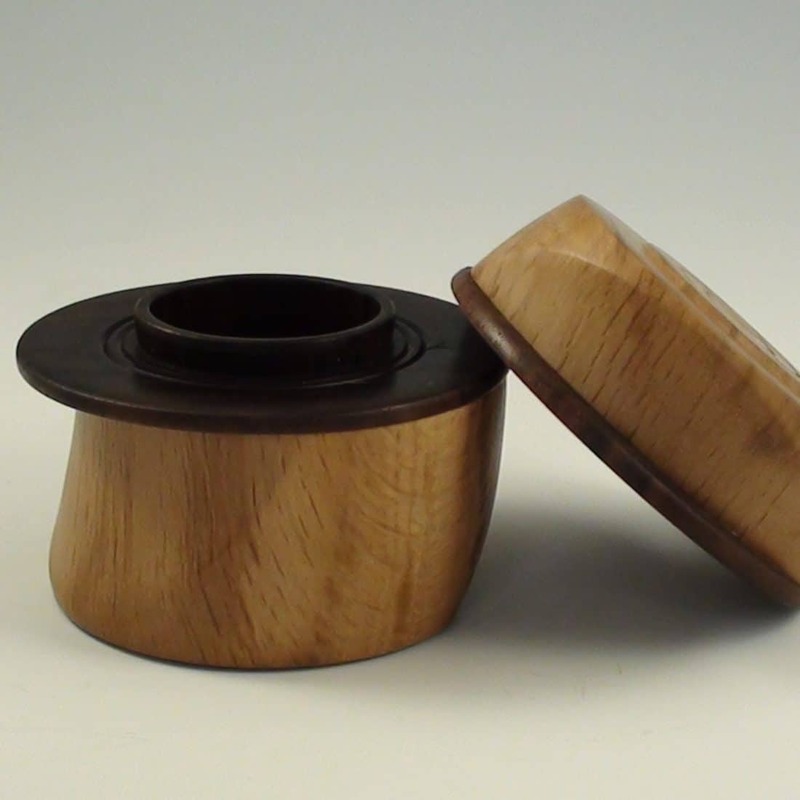 The cup centers allow for very easy re-registration of the center. 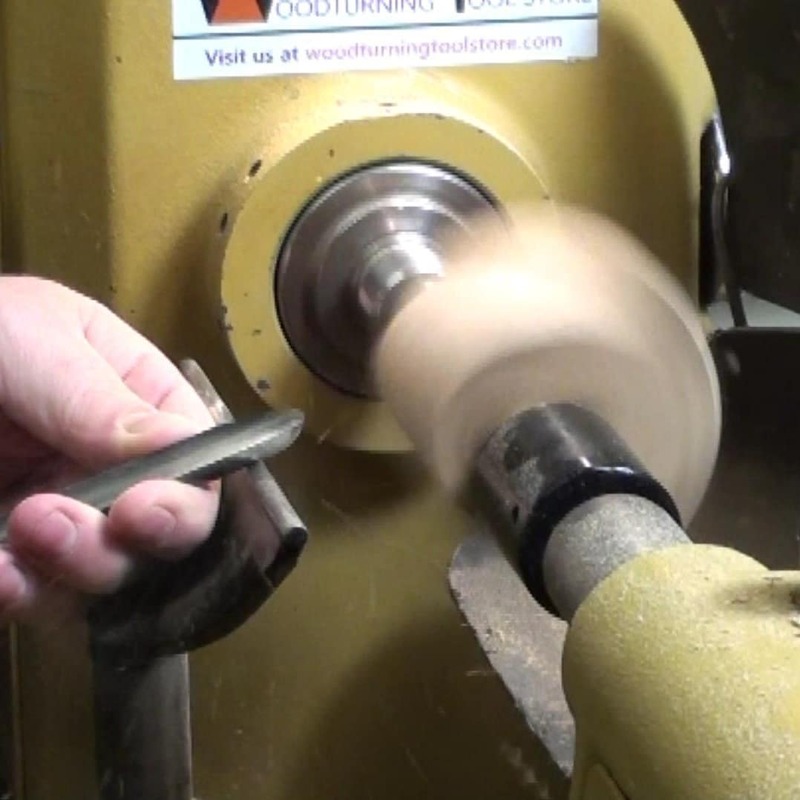 I started turning at relatively high speed (around 1800 – 2000 rpm) but use your own judgement when turning. 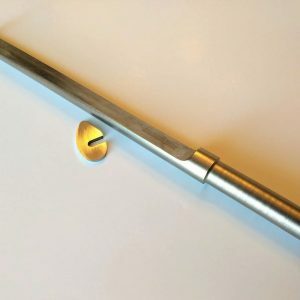 I am using a 1/2″ spindle gouge. 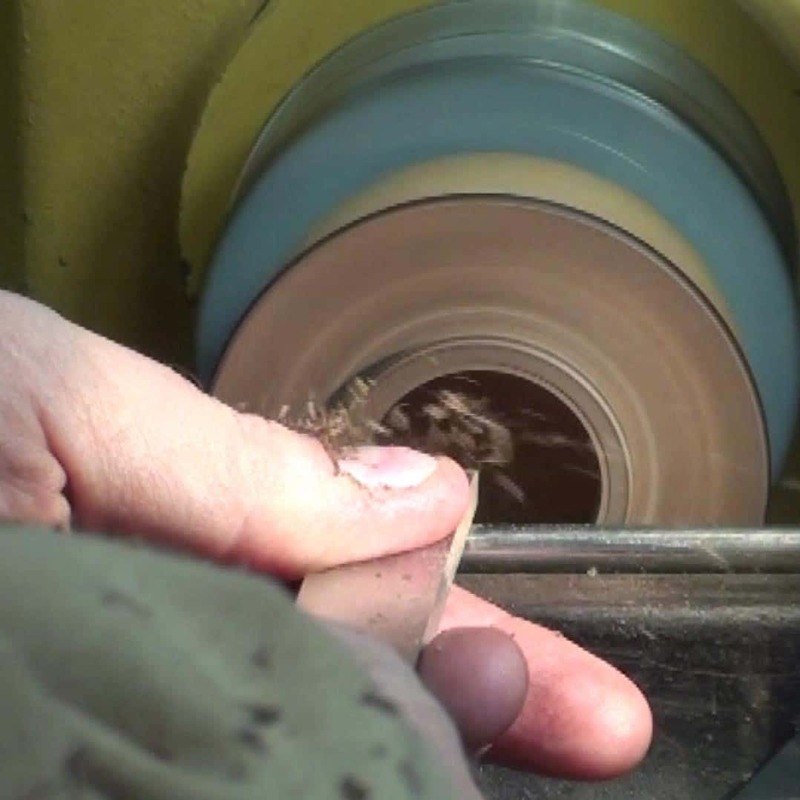 Here is shot showing the use of a spindle roughing gouge. 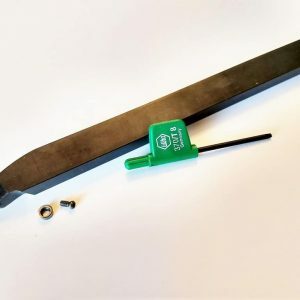 This is actually the better tool to use here. I watch the ghost image along the top of the form to create a gentle flowing curve. Off center box turning presents a challenge for power sanding. 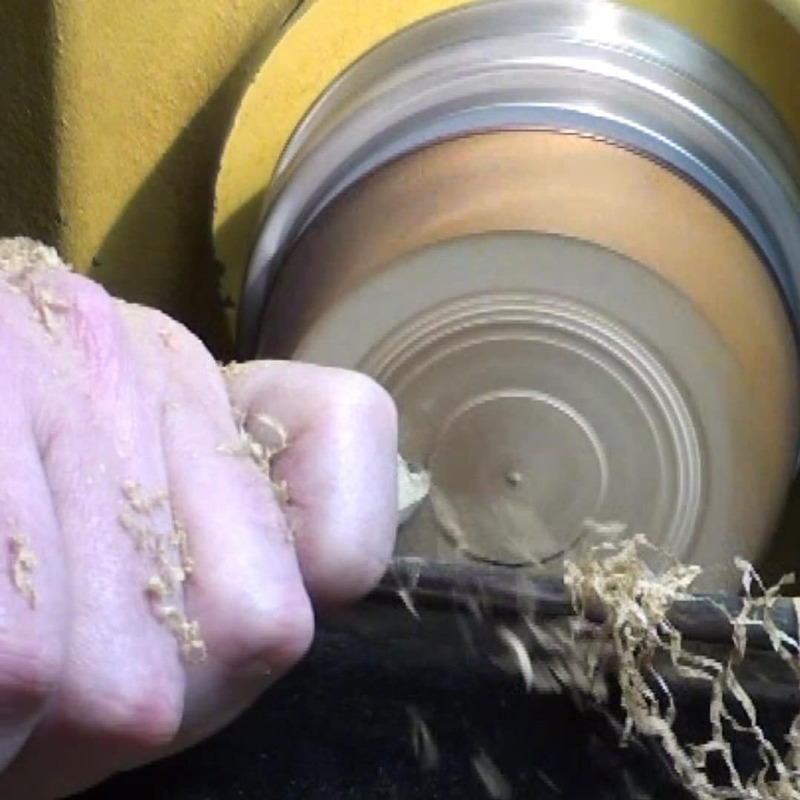 Here I stopped the lathe and power sanded through the grits on each surface as it was turned. This photo shows the completion of the off center box turning on the second off set center. 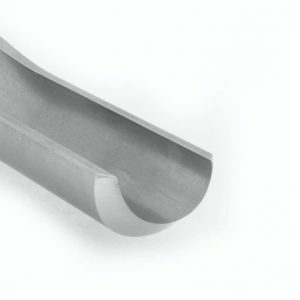 This created the concave shape. It also is a good shot of the three center points that are in-line with each other. The two outer centers are equal distance from the middle center. 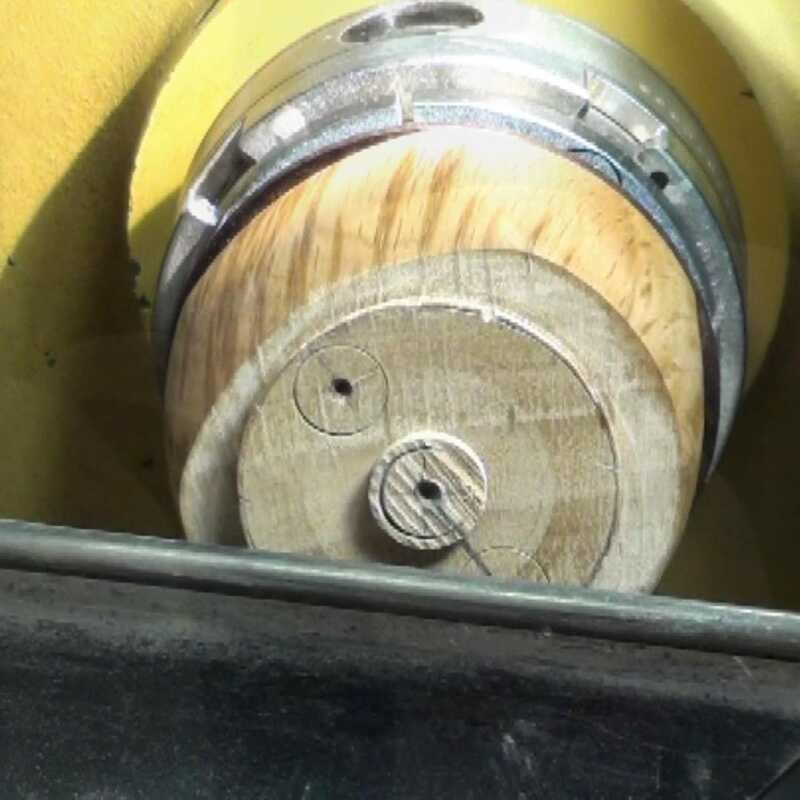 And finally back to the center (or middle) centers to turn a barrel shape over the whole piece. Now I part the off center box in two. 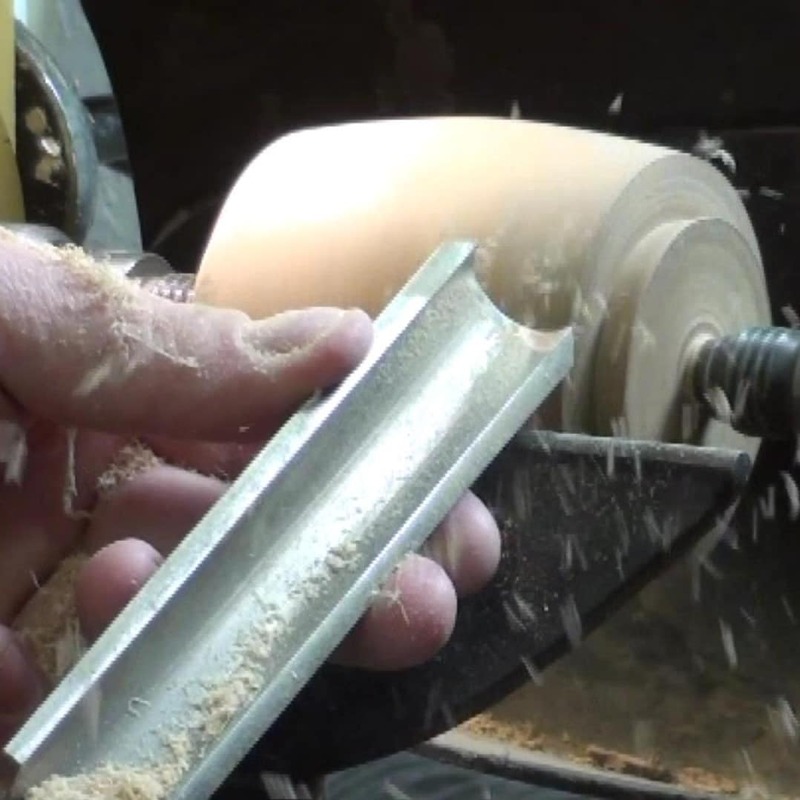 I started with a 1/8″ parting tool down to depth of the solid wood. 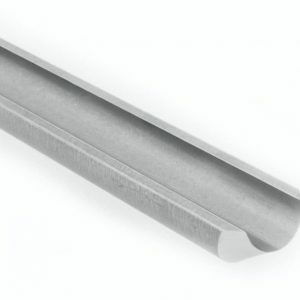 Then I use a thin 1/16″ parting tool in the middle leaving a ~1/4″ of material. 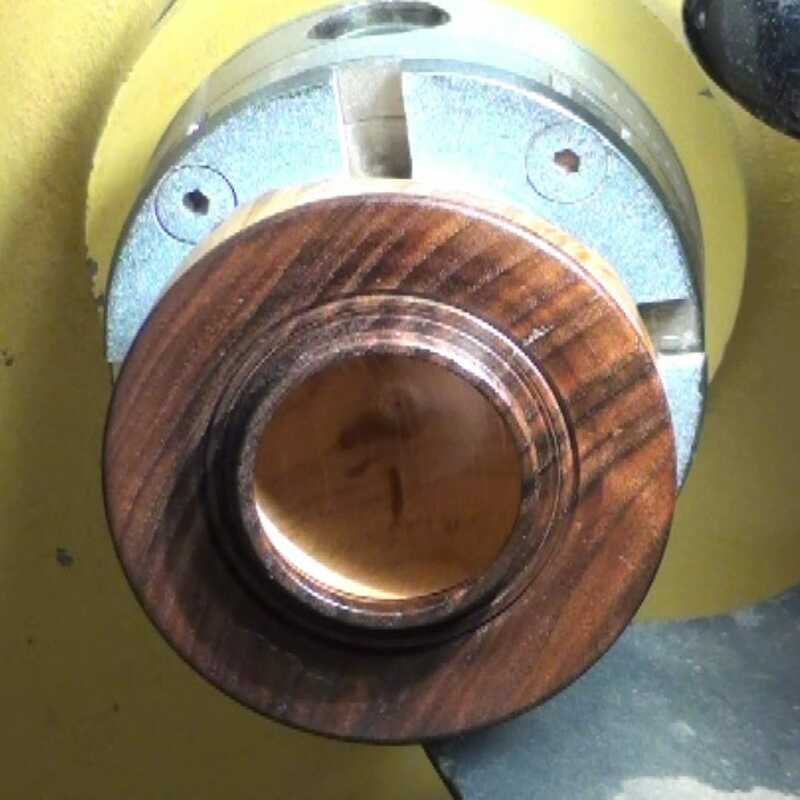 With the top of the off center box mounted in the chuck using the tenon cut previously, I clean up the face of the inside of the top creating another tenon to accept the walnut accent ring. 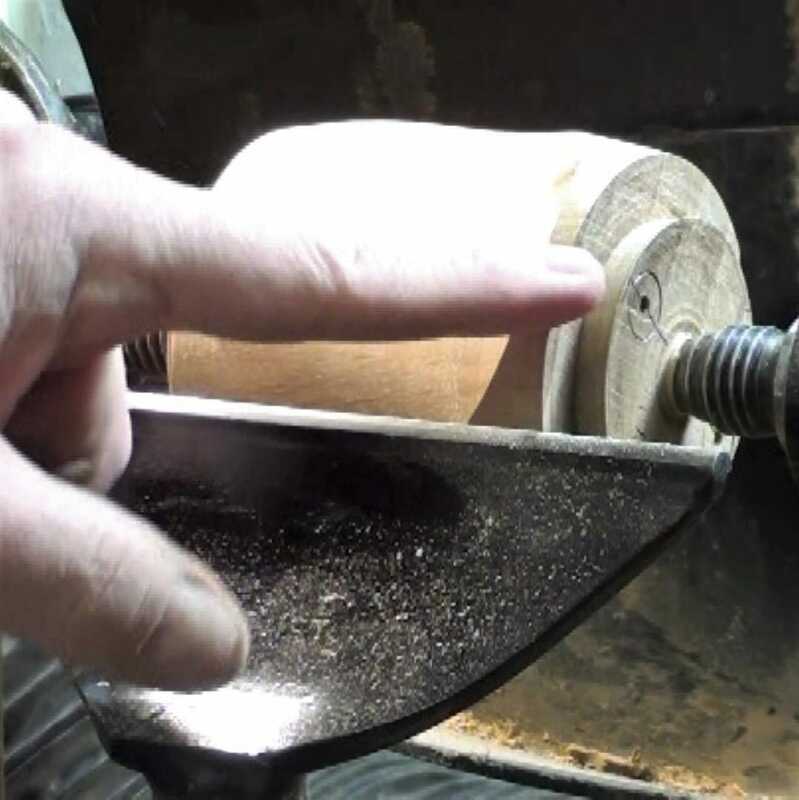 I am pointing out the transition points at each end of the off center box where the concave shape meets the barrel shape. I want to keep this transition for the top and foot of the piece. 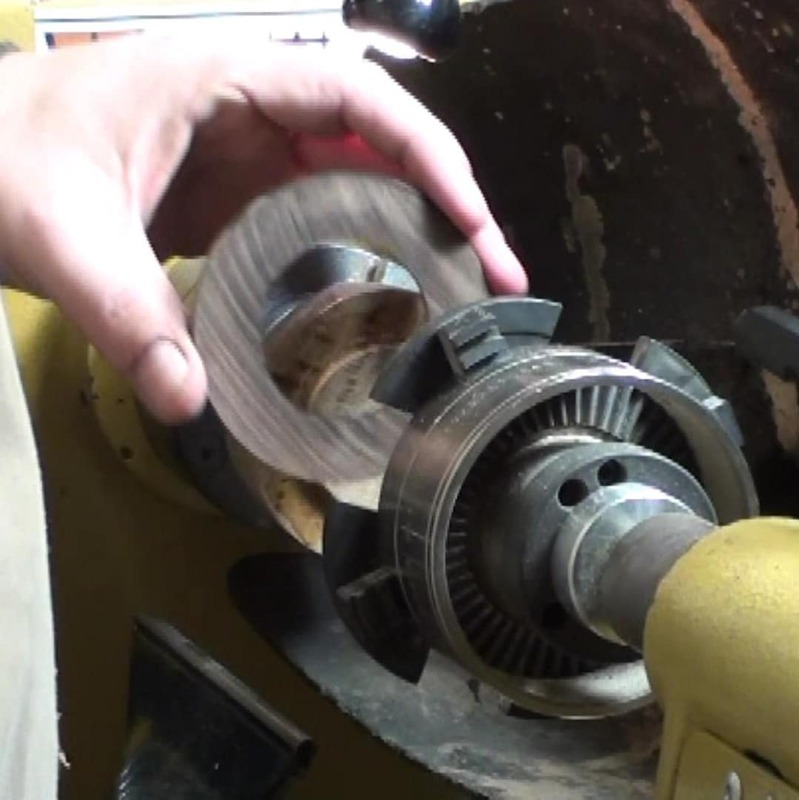 Stop the lathe and use a small handsaw to separate the two halves. This is the safest way to complete the cut when between centers. 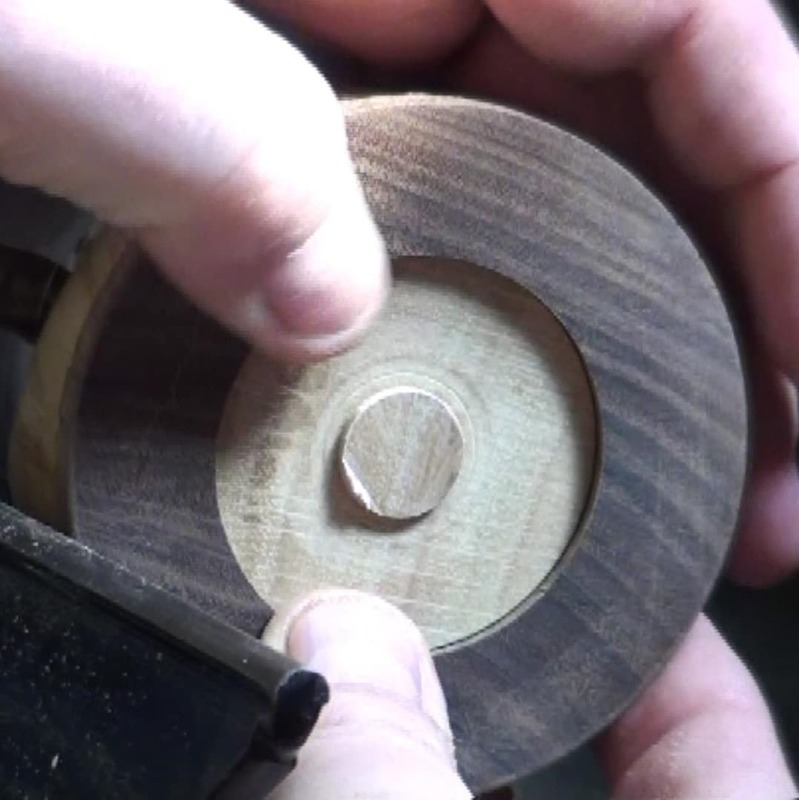 I cut the accent rings from a chuck of walnut. Here is the final test fit. 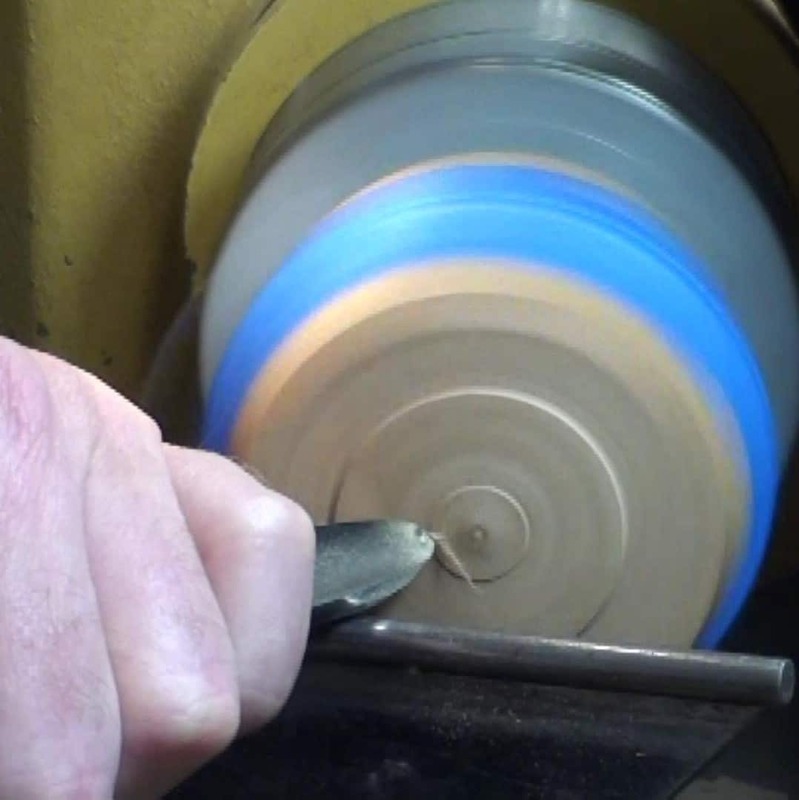 In my Olympic Rings project I cut several of these kinds of rings. 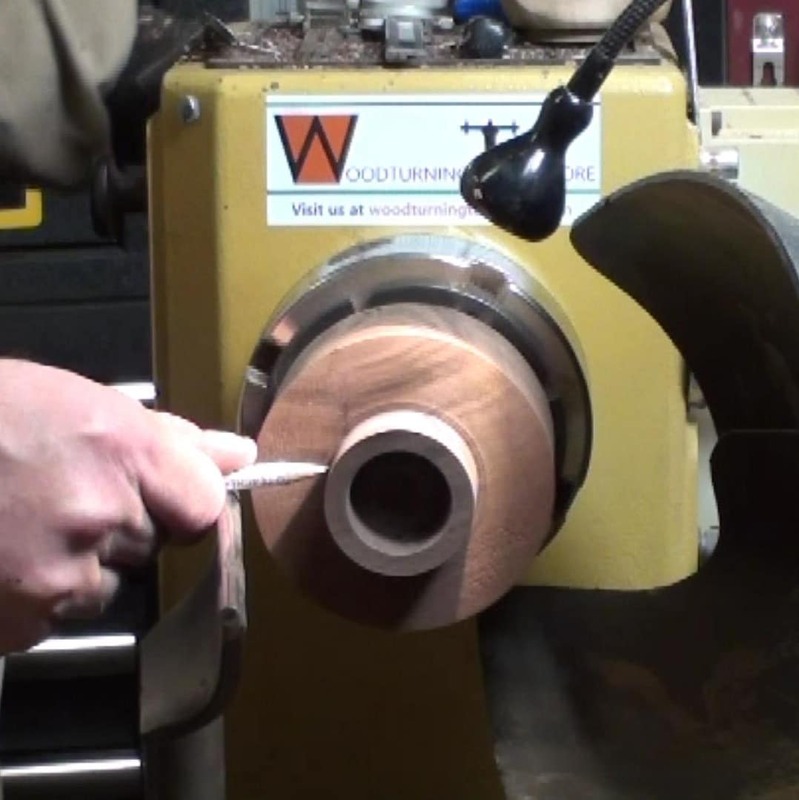 See the YouTube video “Woodturning the OlympicFlag” for more on this process. I used CA glue for the accent rings. This process is the same for the top and bottom sections of the off center box. 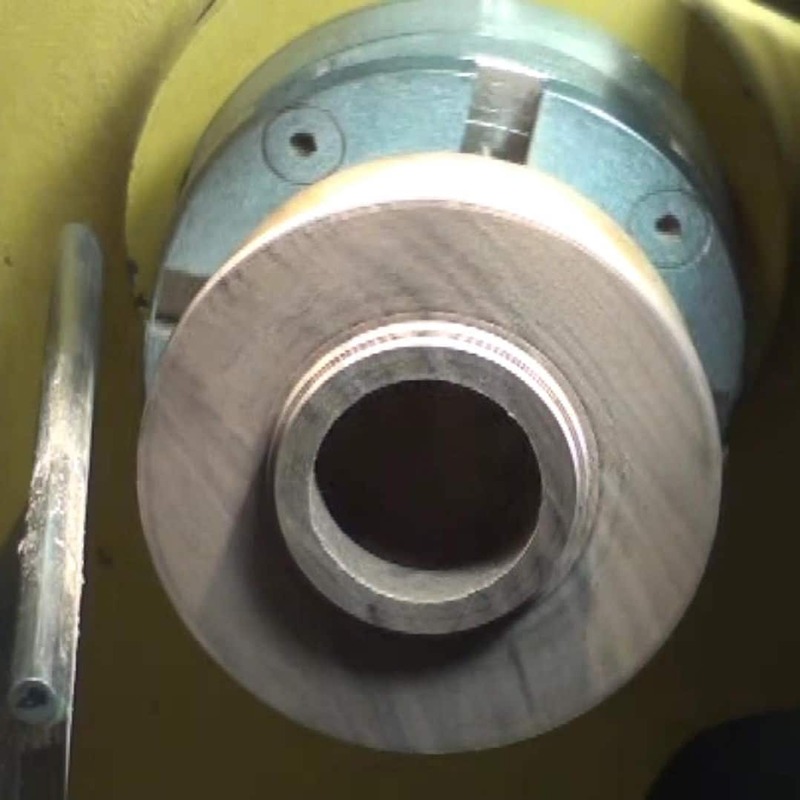 I used a second chuck, as a clamp, mounted in the tailstock via tailstock Morse taper adapter that is threaded the same as my chuck. 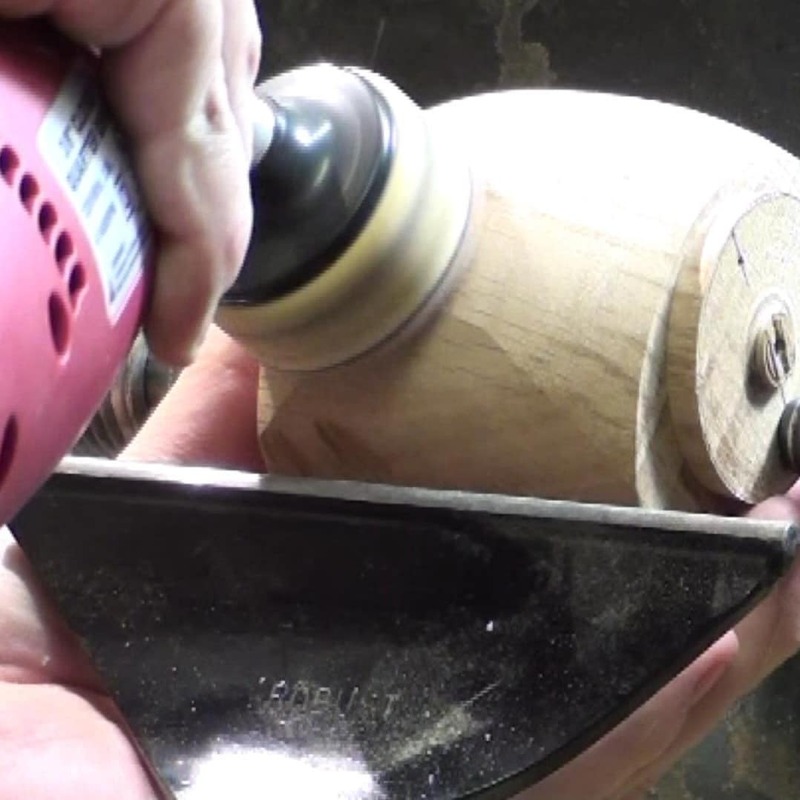 Apply the glue to the tenon, spray accelerator on the ring and clamp it in place. This is the off center box lid. Glue has cured. Looks good. 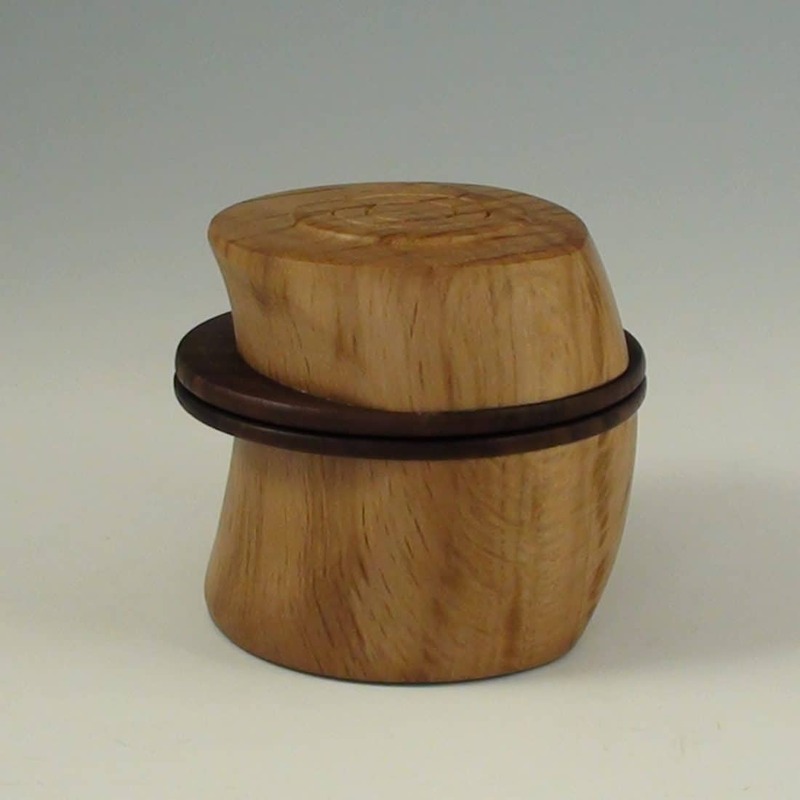 The lid hollowed and finished. 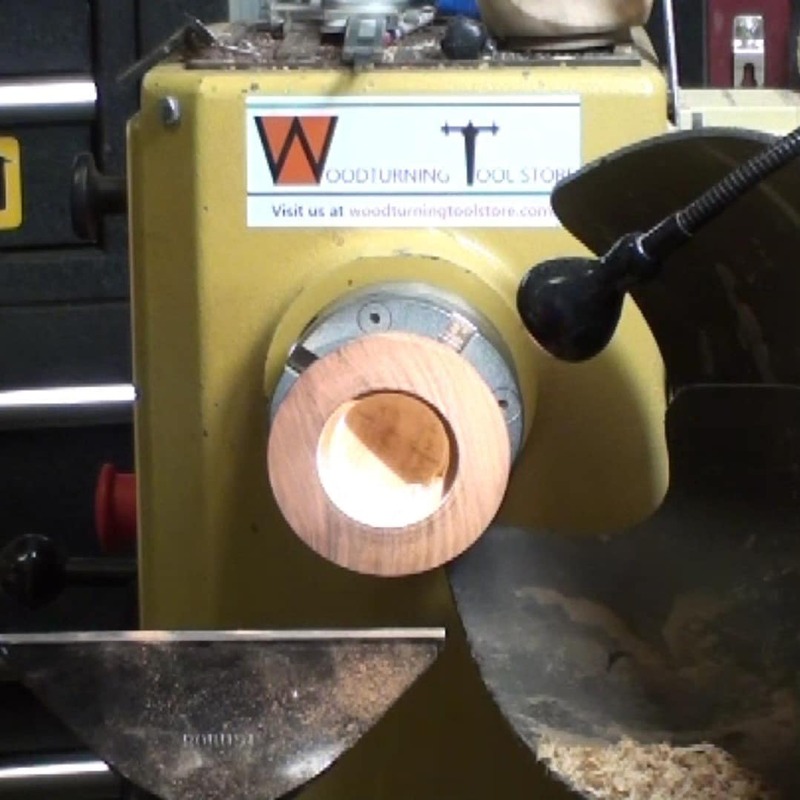 I used the T1 HSS Teadrop cutter and the Half Round Tool Bar for the hollowing. 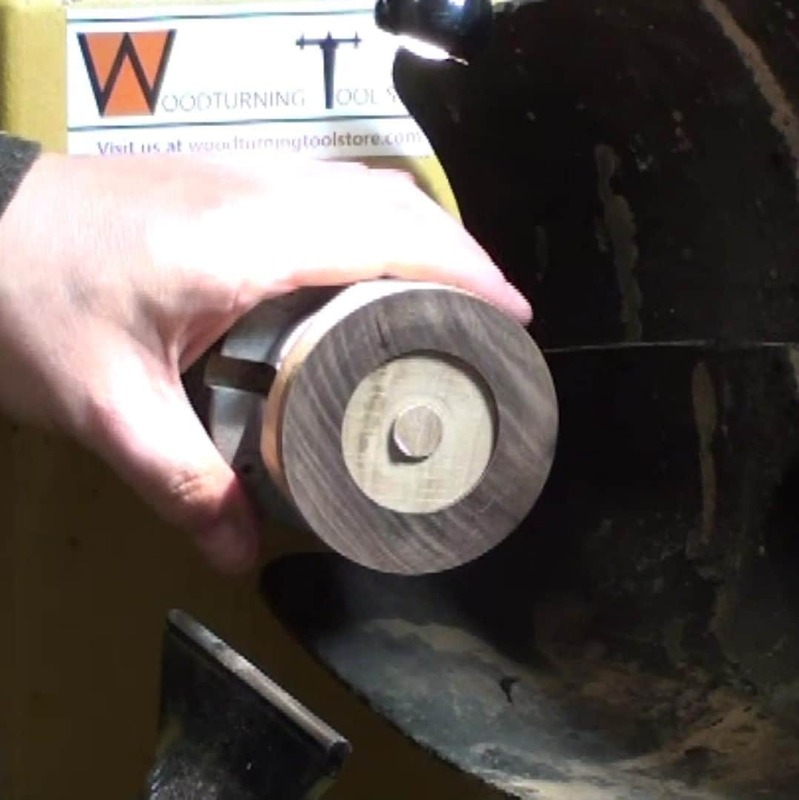 So here is the walnut block that I cut the rings from. 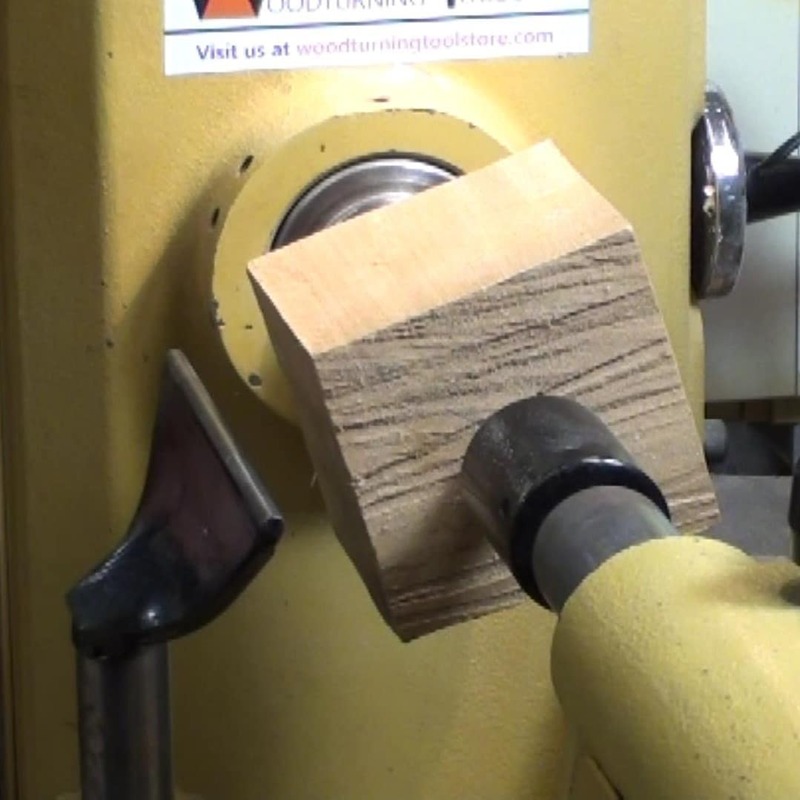 I am now cutting a box tenon collar for the bottom of the box. 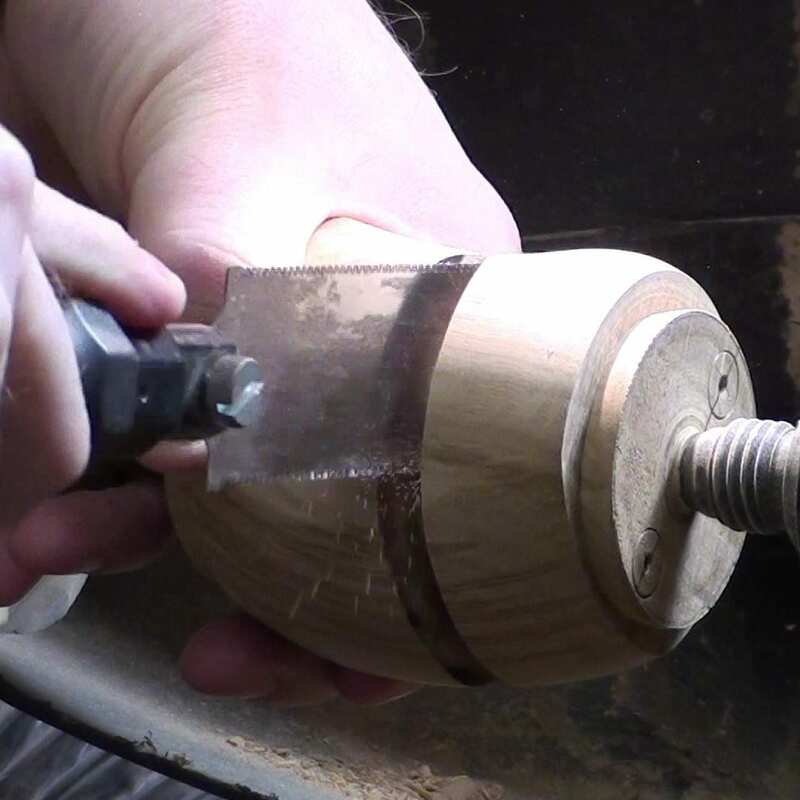 I have pre-hollowed the box tenon and am parting it off. 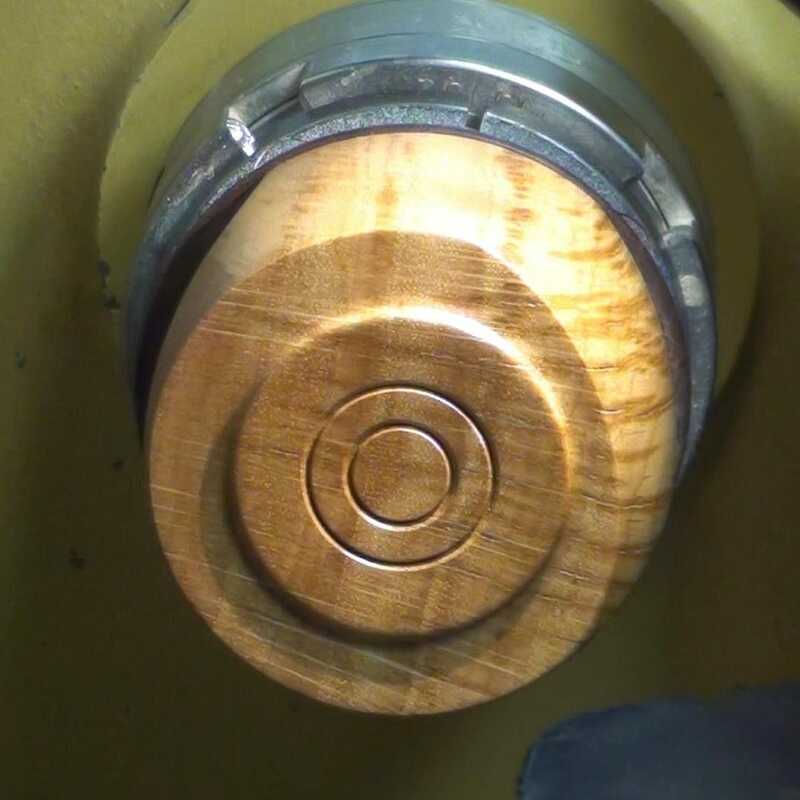 Here is the bottom of the off center box with the ring glued (same process as above) and the walnut tenon installed and glued in using essential the same CA glue process. 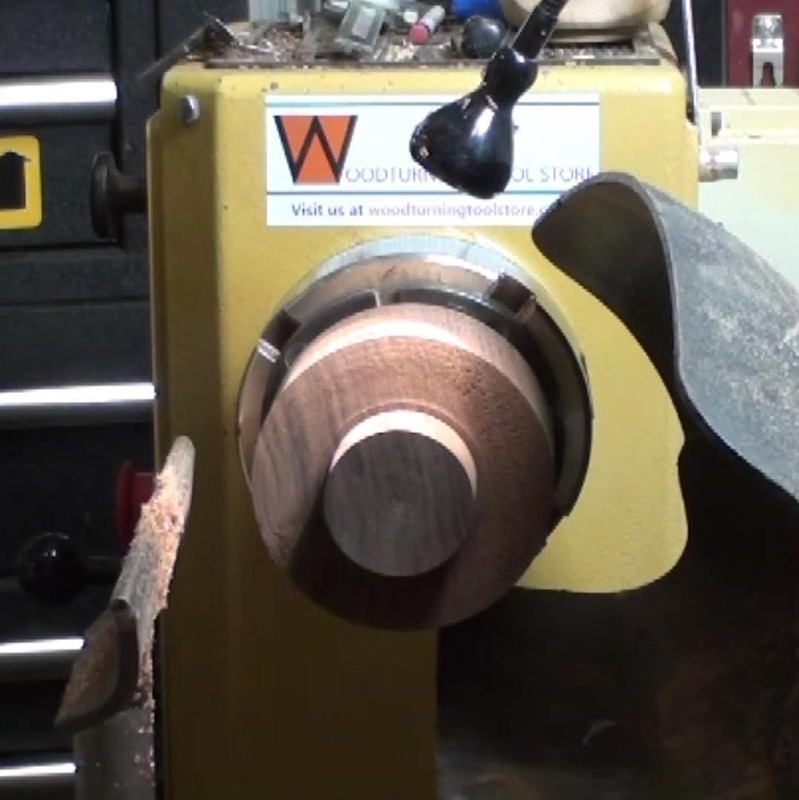 I leave the walnut tenon thick and will finalize the hollowing after the lid is complete. 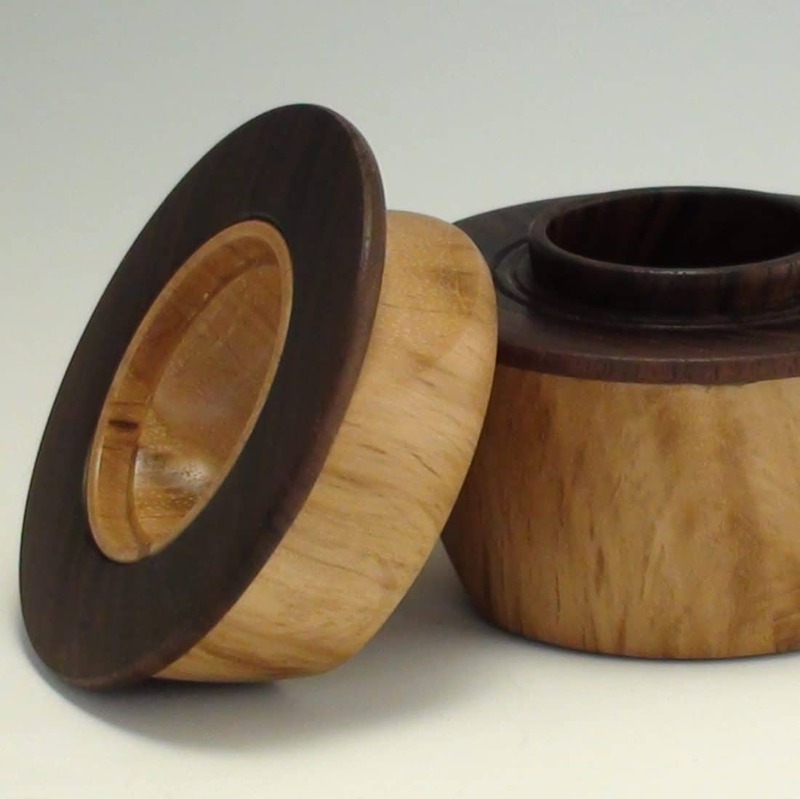 The lid and bottom of the off center box are a tight fit and are mounted between centers to clean up the rings. 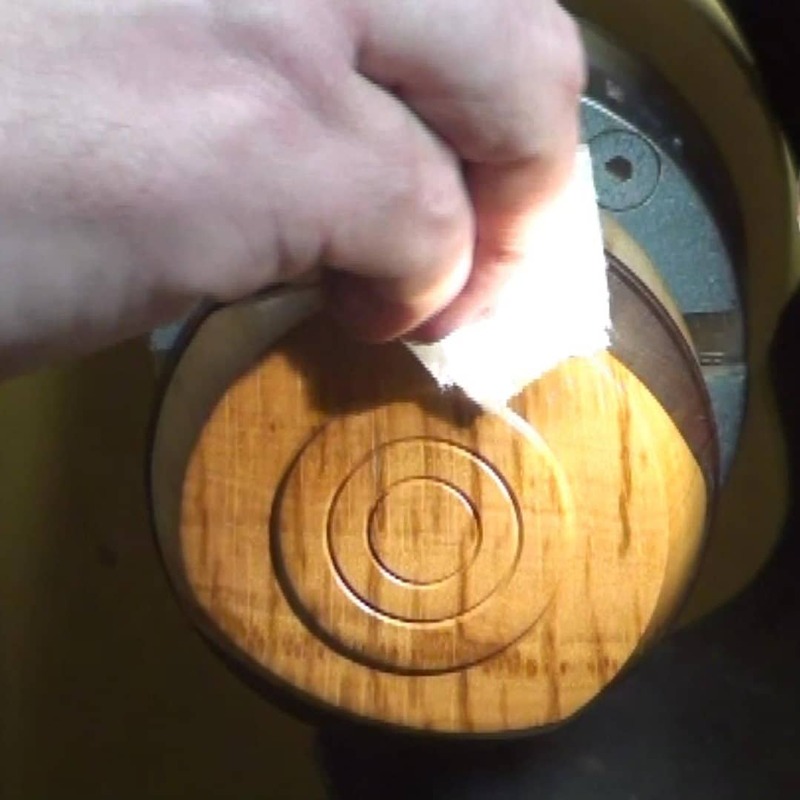 I use a three-point tool to slightly round over the rings. To ensure the lid does not pop off I use blue masking tape to secure the lid of the off center box to the bottom. 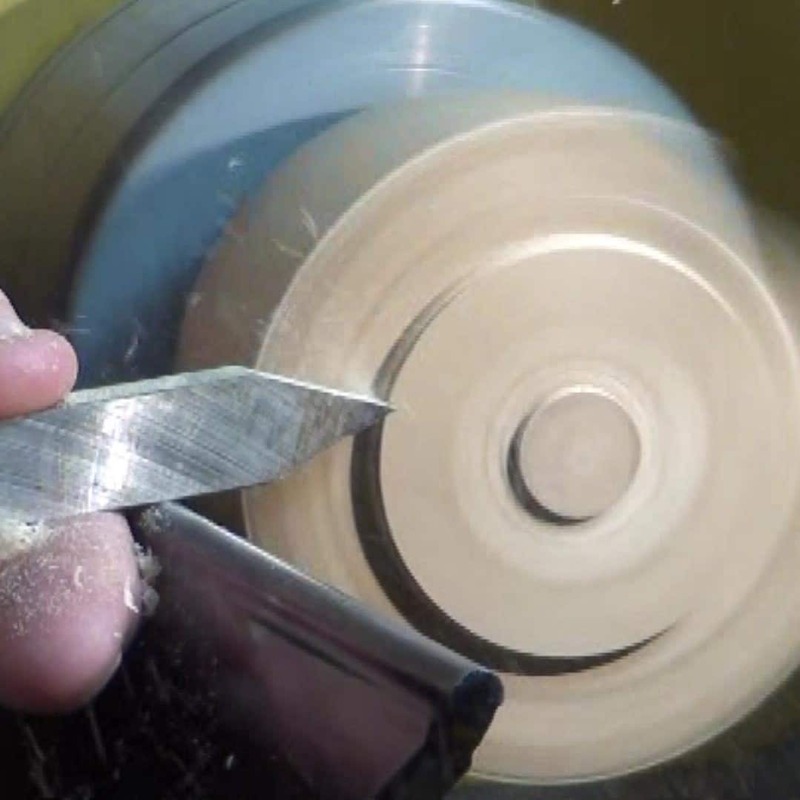 With careful, light cuts I clean up the top of the lid using my 1/2″ spindle gouge. I added a little decoration on the top and finished the top with sanding to 600 grit then used a polishing wax and gloss wax top coat. 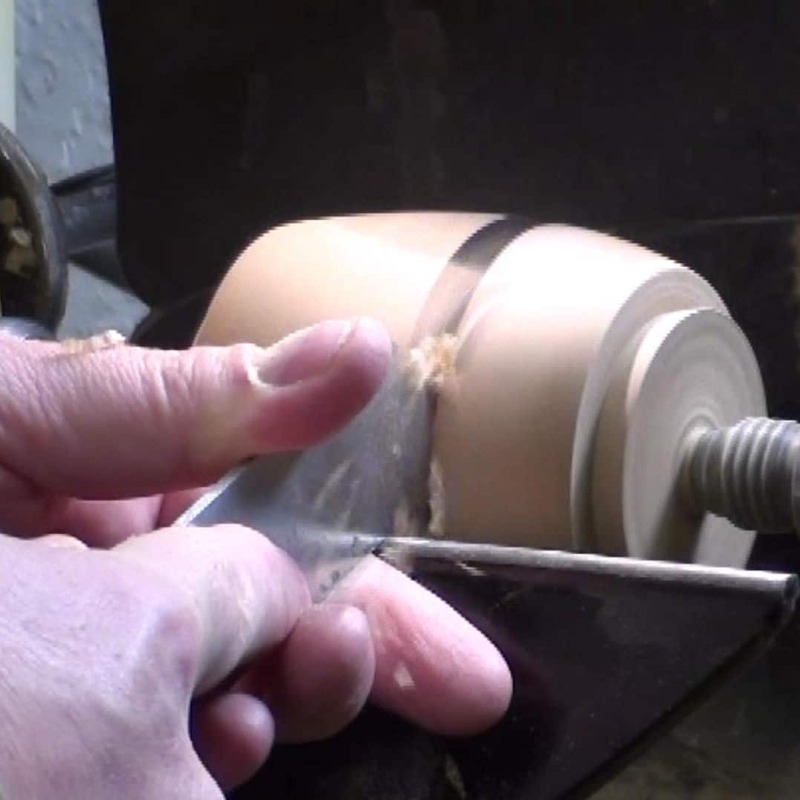 With the lid removed I complete the hollowing the bottom of the off center box by thinning out the tenon and blending it with the inside of the box. Here is the inside of the bottom completed – sanded and waxed. 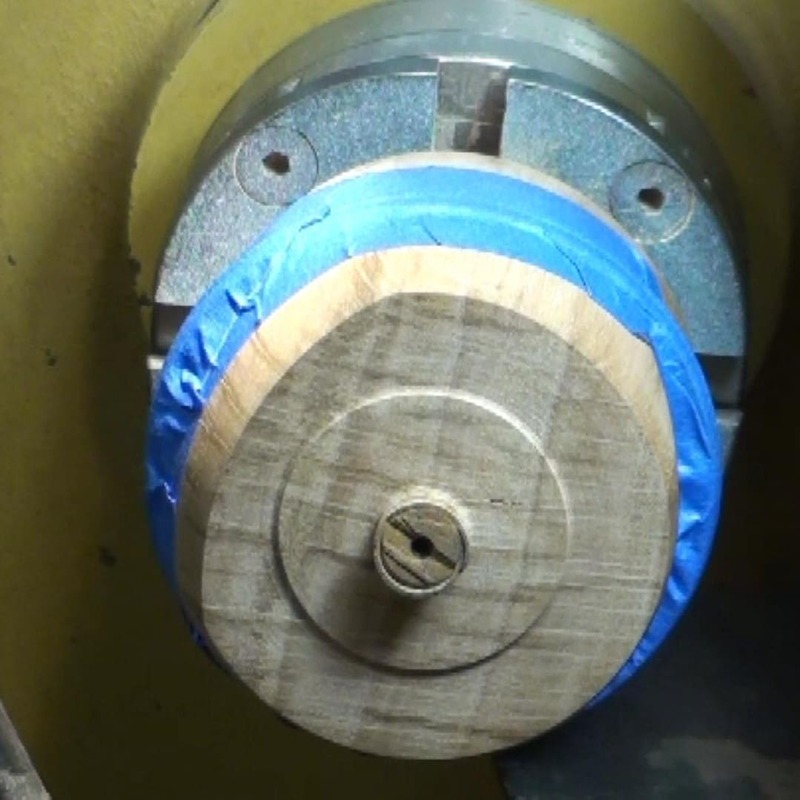 I use some masking tape to protect the walnut box tenon and mounted the bottom of the off center box in the chuck in order to turn the foot of the box. 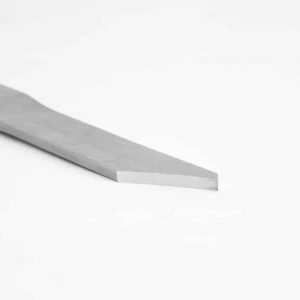 Really light and gentle cuts with a freshly sharpened spindle gouge. The outside of the bottom finish sanded and waxed. Thanks for reading. Please leave a comment if you wish. Check out the YouTube video of this Off Center Box project. See the link below. Thanks John. I am glad you enjoyed it.